Distracted and aggressive drivers cause thousands of accidents on streets and highways in Florida, and many of them involve motorcycles. No matter how attentive you are or how experienced you may be as a rider, if you are on a motorcycle, you still are at greater risk than most people. When careless or negligent automobile drivers ignore the rights of motorcycle riders by engaging in behavior such as speeding, or driving under the influence, they can and do cause motorcycle crashes. If you have been injured in a motorcycle accident caused by the negligence of others, you may have a legal right to receive financial compensation for all of the damages you have suffered. Zweben Law Group has a team of professional investigators and experts who will analyze the evidence and help determine the value of your claim. In order to protect your rights, it is very important to contact a lawyer as soon as possible after a crash. We accept all injury cases on a contingency basis, meaning you pay nothing unless we recover for you. 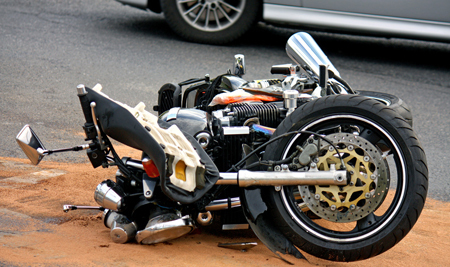 If you have been injured in a motorcycle accident, call us TODAY for your free, no-obligation legal consultation.